Ideal for normal, combination or dry skin types. Water/Aqua/Eau, Isododecane, Cyclopentasiloxane, Niacinamide, Propanediol, Dimethicone, PEG-12 Glyceryl Dimyristate, Glycerin, Tapioca Starch Polymethylsilsesquioxane, Cetearyl Alcohol, Hydroxyphenoxy Propionic Acid, Pentylene Glycol, Polysilicone-11, Glyceryl Stearate, PEG-100 Stearate, Hexylresorcinol, Coco-Caprylate/ Caprate, Resveratrol, Phenoxyethanol, Retinol, Polysorbate 20, Butylene Glycol, Sodium Polyacrylate, Caprylyl Glycol, Ethylhexyl Stearate, Ammonium Acryloyldimethyltaurate/ VP Copolymer, Xanthan Gum, Chlorphenesin, Sodium Citrate, Tocopheryl Acetate, Trideceth-6, Disodium EDTA, Decyl Glucoside, Aminomethyl Propanol. Retinol (vitamin A): vitamin A helps promote a clear complexion and an even skin tone. Resveratrol: a strong antioxidant that encourages a bright, even skin tone. Niacinamide: a potent, calming antioxidant reduces water loss, reduces excess oil production and improves uneven skin tone. Hexylresorcinol: promotes an even skin tone and reduces inflammation that can lead to discoloration. I like it. It make pores get smaller. It's a great retinol formula product. 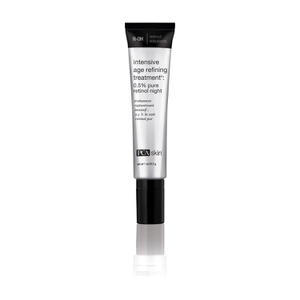 It is not too strong and delivers the benefits of retinol without being too harsh for your skin. I've received a free sample of this product and will be buying a full size. 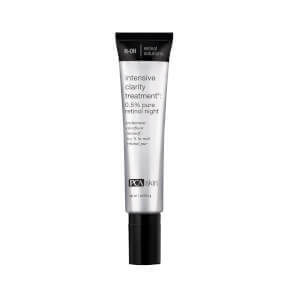 Its a good retinol product with quick results. I have very sensitive skin with hyper pigmentation and find this product works well with no irritation. After applying it, I follow up with a moisturizer which I think helps to avoid irritation. I like this retinol. It brightens the skin/ hyperpigmentation. I have a lot of dark spots from pimple scarring and this help lightens the scar. 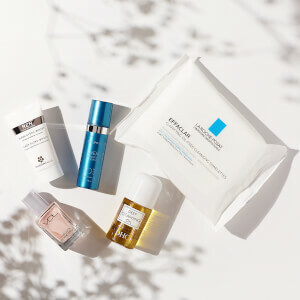 Don't forget that retinol can irritate the skin, so for the first time using the product apply it twice a week then alternate the days until your skin can tolerate it every night. Also, very important thing to remember is use sunscreen everyday.